sit there and never get done. So I have set myself a challenge (yet another one) to try and do one pinterest pin each week. I saw pins about melting crayons when I first got onto Pinterest, thinking it would be something nice and bright to bring into my all white bathroom. I already had a canvas that would be the perfect size so off I went to buy lots of crayons and the cheapest price I could get. Luckily I have grand children that can have fun with the colours I didn't use. 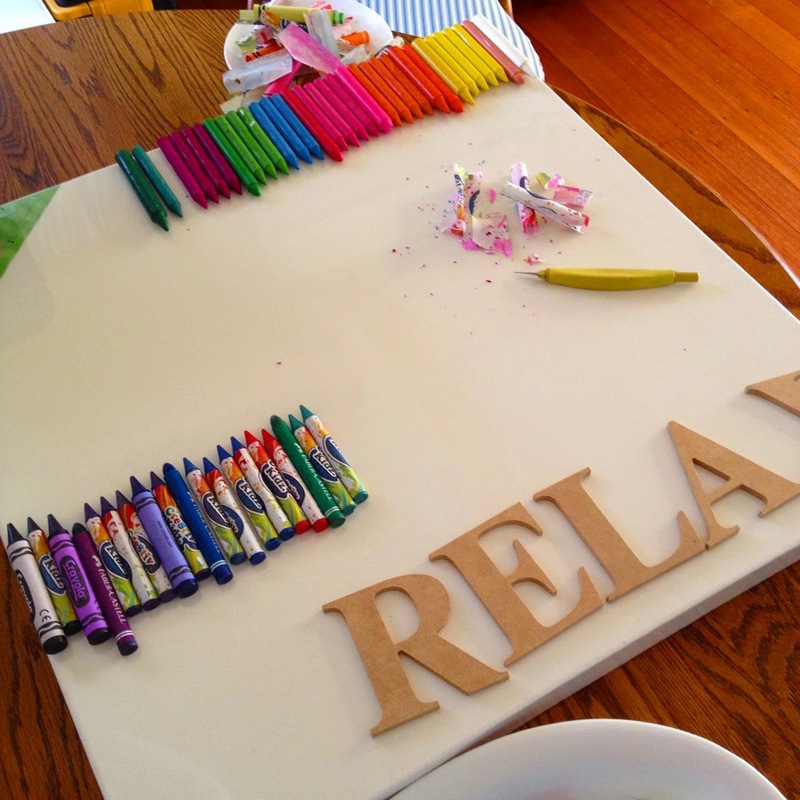 First up I took all the papers off the crayons. Then I glued them along the top of the canvas with the design going from dark to light. Then it was outdoors with floor coverings down and some old clothes on. I had read where as the wax melts it can splatter a bit, as it did. 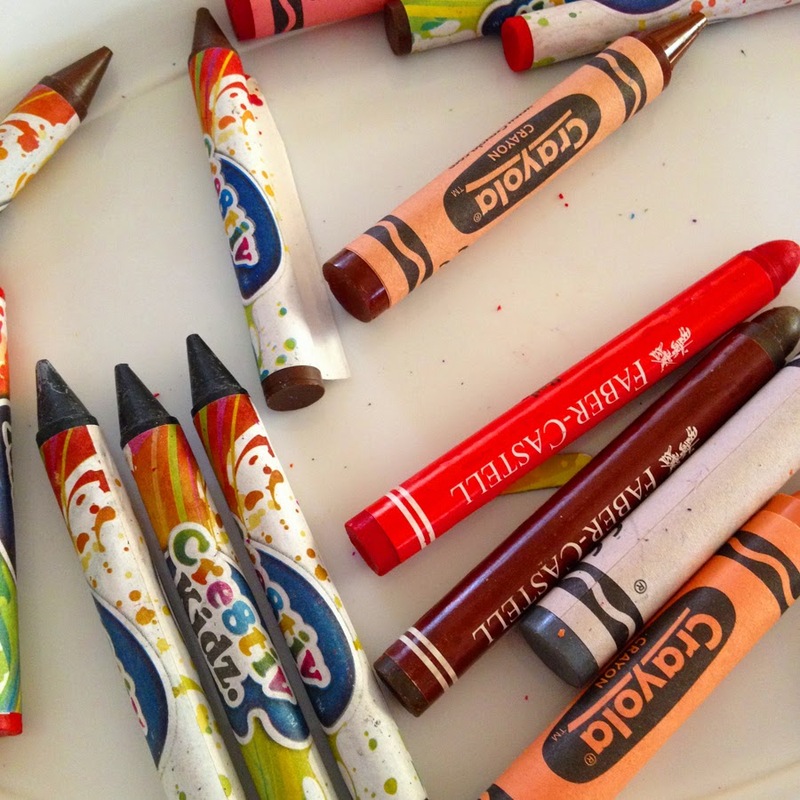 Then with my hairdryer in hand I started heating the crayons. It took a while to get them running, but once they did we were off and running. 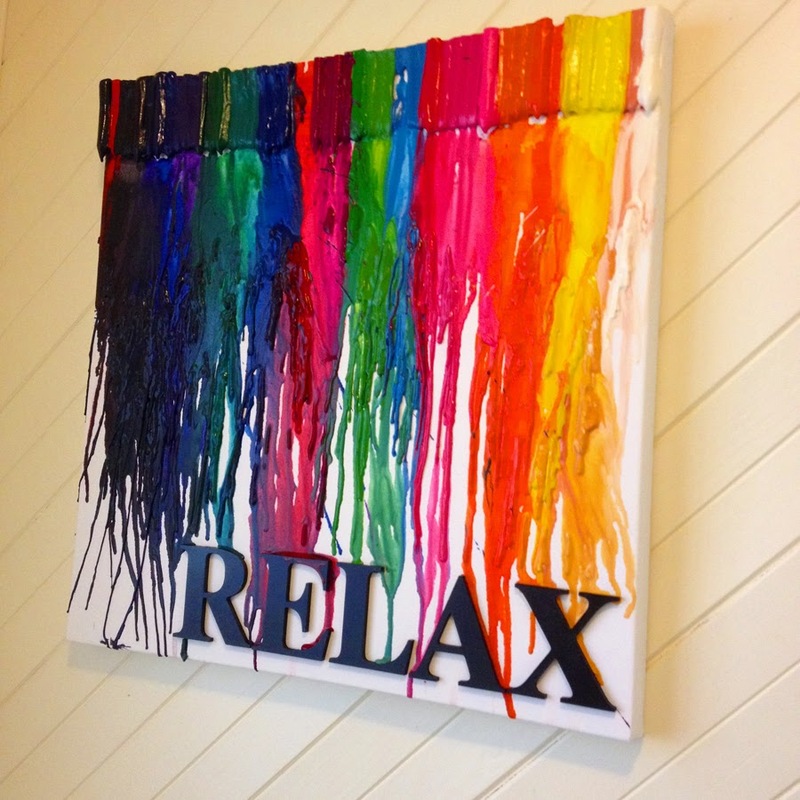 I do like artwork with a bit of a meaning, so seeing this was going to be positioned on the wall at the end of the bath, I thought the word RELAX would be nice to look at while lying in a bubble bath. I wasn't sure how the crayons (still not really) would react in the steaminess of a bathroom so I sprayed a few coats of clear varnish on it just to be on the safe side. I'm pretty happy with how it has turned out and Clare (3) told me it looks like a rainbow. So that makes me happy. If you are into Pinterest, give something a go. Don't just let all those pins sit there gathering dust and cobwebs! !